In my living room in April 2010, I shook the hand of a humble and rather shy man named Zenzo from Malawi, Africa. Accompanied by Anthony Petrucci, a prayer leader in Boston, I had been told that Zenzo possessed an amazing vision for revival in Boston. 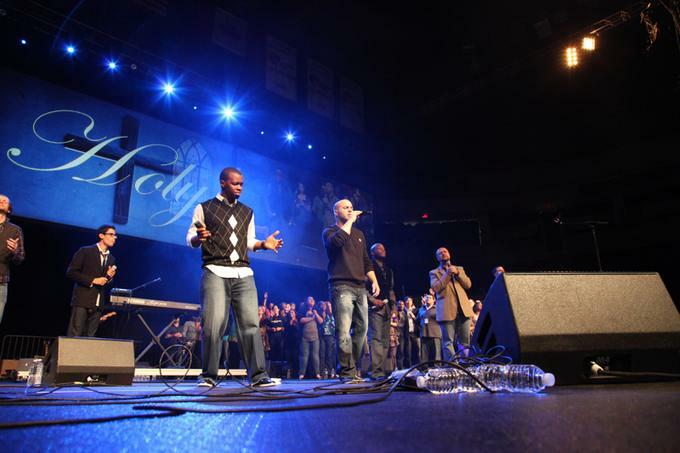 Over the past three years through his ministry, Boston Night of Worship (www.bnow2010.com), Zenzo had held small worship revivals on the campus of Massachusetts Institute of Technology. I was intrigued because I had been actively trying to follow the model laid out by professor J.P. Moreland. In my classes with him, he emphasized that the church needs a revival of both the heart and the mind. In my courses at Biola and through the books I was exposed to, like Moreland’s Love Your God with All Your Mind, I found that to experience God’s fullness, one must engage both the heart and the mind. My meeting with Zenzo seemed to help lend me that opportunity. After prayer, Zenzo shared with us the roots of the Boston Night of Worship. Interestingly, he told me about how he was thankful for Europeans and Americans coming to Africa to preach the Good News of Jesus. He told me of how they came to risk their lives and often lost their lives to help a people bedeviled by witchcraft and hopelessly clinging to paganism. He was here because God told him that he was in Boston to repay America for its sacrifices in bringing the gospel to Africa. Zenzo was here because America was losing its spiritual heritage and turning its back to the Living God who had brought so many blessings to our great country. He was here to present his vision to bring forth the gospel through a revival and worship meeting. The meeting’s goal was to call desperately upon the Lord to declare that Jesus is Lord over Boston and have him move over the city through unity in the body of Christ. He would do this by cutting through different races, cultures, social lines and denominations. As he exclaimed his vision, power seemed to descend upon him and his words seemed to flow like a charging river. He looked at me and invited me to be part of this vision. His goal was to fill a concert hall of about 2,500 people. Immediately, I was compelled to tell him that we could do much better. Over the next five months, we worked to build our team to spread that word of unity and praise around the city of Boston. On Oct. 29 at 7 p.m., we were waiting with anticipation to see if Boston would respond to the call. I found myself questioning, how could this happen in Boston? Boston has become the proverbial “rocky soil” for the gospel. As I looked around though, the stadium began filling with worshippers. Over the past five months, I had learned that Zenzo was passionate about Jesus. I also found that his feet were planted solidly in the gospel. He did not just want to play a revival concert. He wanted to use the gathering as a worship service where we desperately asked the Lord Jesus for forgiveness, then declare him to be Lord. Unlike some modern worship music, where the singers rejoice about their being saved, Zenzo’s music reads more like a psalm declaring the glory of God. The night did not disappoint, as more than 6,000 people jammed into the stadium and were moved by an amazing experience. Interestingly, we had partnered with Paul Baloche and Integrity Music. They played for about 30 minutes. Their music was wonderful but was very different. When Zenzo was playing, it felt more like a revival concert where the whole of the audience was part of the worship service. When the Integrity performers were on stage, it seemed to change gears to a traditional worship concert. Amazingly, after the Integrity set was done, Paul Baloche stayed on stage and became just another member of the worship choir. After the concert, he stated that this was one of the most amazing nights in his life. At the climax of the concert, an evangelist gave a bold and compassionate call to all those who would like to give their hearts and minds to Jesus. Over 300 people gave Jesus their hearts that night. Our prayer is that they give their minds as well. Daniel McCarthy (M.A. ’07) is founder and CEO of Taggle (www.taggleworld.com), a site where Christians can connect and discuss various philosophical and religious topics. He also serves as president of the Boston chapter of Reasons to Believe.